Awaken Your Inner Artistic Genius! “Spend 2 hours making art, making new friends, and having fun! Art Tag is an experience where children follow teacher prompts and allow their intuition to guide them through a creative process of layering mixed art materials – to create an abstract work of art that is 100% created by their hands & imaginations. In the land of Art Tag – all designs are created via artistic flow. Every creation is a beautiful expression of the fully present artist, who will explore a variety of art materials using painting, drawing, and collage applications. In just the last few years, psychologists and neuroscientists have undertaken research that proves happiness & creativity are intertwined. Creativity is the foundation to happiness. Happiness is the foundation for being healthy, happy, free, and successful in all aspects of one’s life. Active creative learning is good for all students. Students who participate in art education do better in school and in life. 9 out of 10 Americans believe The Arts should be part of a well-rounded education for K – 12 students. 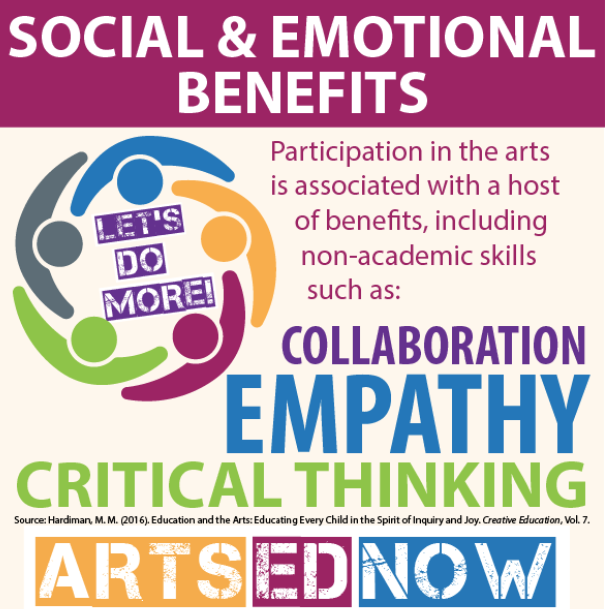 The longer students are engaged in arts education, the better they do overall. Students who have high exposure to the arts in school are better able to express their ideas, use their imagination, and take risks in learning. Creative learning also helps spur innovative thinking, which can set the stage for the future success on a national and global landscape.